The Nigeria’s Vice President Yemi Osinbajo on Monday said the Federal Government has made the National Health Insurance Scheme central to its plans for the healthcare system in the country. 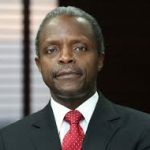 Senior Special Assistant to the vice president on Media, Laolu Akande, said Osinbajo stated this while receiving a delegation of the Nigerian Medical Association (NMA) at the Presidential Villa, Abuja. He said an effective National Health Insurance scheme remained the best option for the development of the health sector and an efficient healthcare delivery in the country. 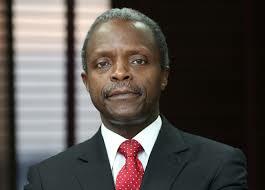 The vice president said that health insurance would remain very prominent in APC’s Next Level document. “We have a good opportunity to do something about the National Health Insurance within the next four years of our tenure. Citing India as an example, he said that Asian country, with a population of over one billion people had the most privatised healthcare system in the world, with individual states being responsible for providing healthcare services. Prof. Osinbajo emphasised the need for doctors to be remunerated properly regardless of their location, either rural or urban. “We must find a logical way of addressing this issue. We must ensure that the states pick up their own part of the responsibility of providing healthcare at their own level. “Through the National Economic Council (NEC), there is the opportunity to talk to State governors and one of the things we do is to look at the human development indices, especially for Primary Health Care. “There are States that are simply not doing enough and we must ensure that they scale up to the plate. States must be held to account because a lot of the responsibilities are theirs,” he said. Earlier, the Minister of Health, Prof. Isaac Adewole, spoke about the ministry’s strides in achieving the Universal Health Coverage towards the expansion of the National Health Insurance Scheme. He thanked the Presidency for the presidential assent to the Appropriation Act, which for the first time, approved the release of the one per cent for Basic Healthcare Provision Fund. Adewole disclosed that the Ministry of Finance had released the first quarter allocation of N13.7 billion. Similarly, the minister also said that the Basic Health Care Provision Fund would help in fast tracking the development of the National Health Insurance Scheme. In his remarks, the President of the Nigerian Medical Association, Dr. Francis Faduyile, congratulated President Muhammadu Buhari and Prof. Yemi Osinbajo on their victory at the just concluded 2019 Presidential elections. He also acknowledged the administration’s efforts in the health sector, which, he said, included the signing of the Residency Training Act, the release of the Basic Healthcare Provision Fund, as well as the recently improved Cancer Centre in Lagos University Teaching Hospital.